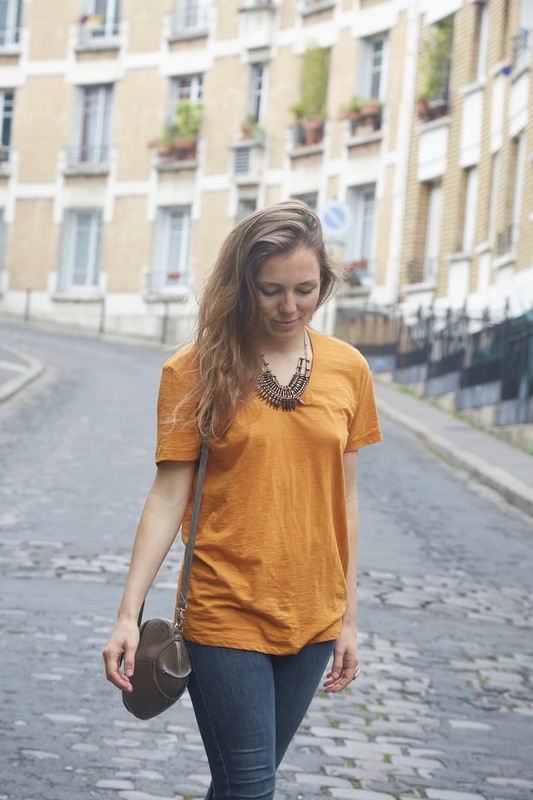 T-shirts are amongst the most versatile, useful and loved pieces in one's wardrobe (apart from a good pair of jeans). 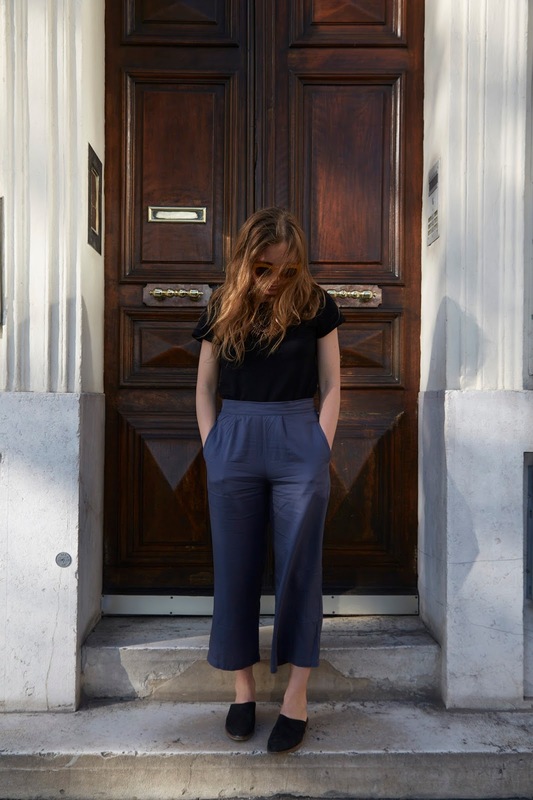 In my recent post on my Spring capsule wardrobe, I made no secret about how much use I get out of my tees as they're one of the few things you can dress up or down with the switch of a shoe or piece of jewellery. When it comes to the procurement of this seemingly simple section of our wardrobe, most of us don't think of the true impact our frivolous purchases might cause, nor the extent of our responsibility to choose items which will bring us through numerous years of wear, acting as seasonless ambassadors to the skin. To make ONE T-shirt, it takes 2720 litres of water, which is about how much we drink over a 3 year period. Fast fashion t-shirts (ones made out of fibre which is not grown organically), 150g of pesticides are used per t-shirt, that's equivalent to 360,000,000 kilogrammes of pesticides a year, which is as heavy as 11,881 M4 Sherman army tanks. Then we dump about 1.5km of harmful chemicals into that water which harms the workers, the planet, wildlife, and eventually ... you. Nearly 2.4 billion cotton t-shirts are produced every year. We consume 24.3 million tonnes of cotton globally, and almost half a million of that is used for t-shirts alone. 75% of the energy associated with t-shirts is used in the laundering process. And in the UK, laundering accounts for 40% of domestic water footprints. 25% of a t-shirt's dye will be washed down the drain, polluting our eco-system. This dye can get into our drinking water as it is not removed by the sewage filtration process. All this is only part of the story of the environmental impact continues after the product has been bought. Because T-shirts are seen as cheap items to be bought and disposed of frivolously, every year in the UK alone, 1.2 million tonnes of textiles end up in the landfill. 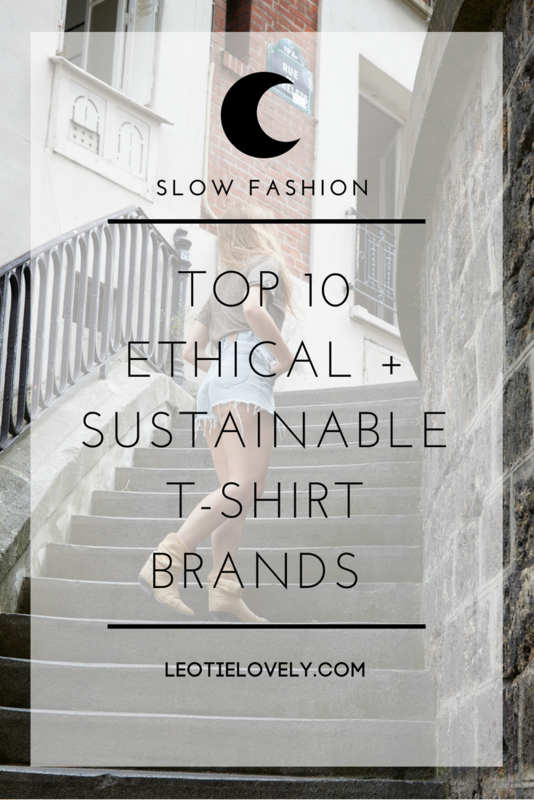 While consumption isn't a solution to the ecological and ethical issues clothing production poses to the planet and her inhabitants, there are greener tees on offer than the ones we conventionally consider, so I rounded up the slow fashion brands I'm most fond of for your consideration. 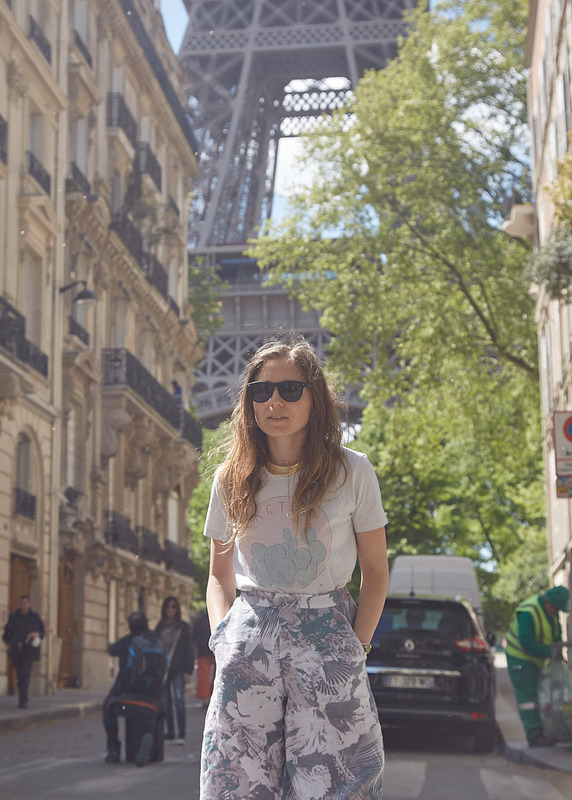 London-based KNOW THE ORIGIN sells tees for men and women with a spectacular circular story to share. Their cotton is sourced sustainably from a fairtrade organic cotton farm which is FLO certified, providing safer working conditions and keeping their farmland free from harmful chemicals. As only the fibrous part of cotton can be used, the seeds are usually leftover and wasted. But their manufacturer extracts the seeds and grounds them up to make industrial oil or animal feed for surrounding farms. The cotton is then spun into yarn and knit by their fairtrade partners. The fabric is then dyed with low impact dyes which are free of toxic metals and don't release harmful carcinogens, the wastewater from this dye is then filtered to clean it of all chemicals and reused in agricultural irrigation. Finally, the clothing is cut and sewn in a safe workshop where workers are ethically paid and fairly treated, creating a conscious collection for men and women alike. 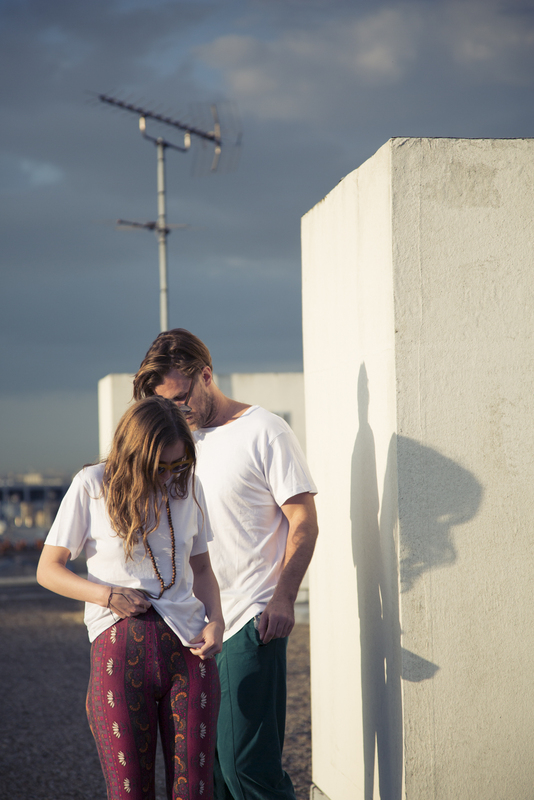 Melbourne-based A.BCH makes their collection of men's and women's clothing from organic, natural and recycled materials. Their buttons are crafted from seeds of fallen corozo fruit in Panama, their manufacturing is done ethically in Melbourne, and each item is designed in-house. Their products are comfortable, well made, and affordable, creating a touching trifecta for beautiful basics for men and women. Based in Devon, UK, SANCHO DRESS sources certified fair trade, sustainable and quality constructed clothing from a carefully curated range for men and women. Their T-shirt selection is diverse and they also offer a range of dresses, shirts, jeans, accessories and jewellery creating a 'one stop shop experience'. They've currently got a capsule collection of essentials from which you can choose individual pieces or select the entire collection for a super reasonable price. From my past year of research into eco fabrics, I'd rule Hemp as the greenest one. It grows the fastest, with the least amount of water and nourishes the land it is planted on. I could literally go on for ages about how amazing it is. Then there's this brand JUNGMAVEN which has created a beautiful collection of hemp clothing and homeware for men and women which fits fantastically and is super stylish taboot. All their products are made in the USA and the shirt I got from them (pictured in the lead image) has quickly become one of my favourites. It has a vintage vibe to it and breaths, making it the perfect thing for layering in winter or hot summer days by the beach. I got the yarn dyed striped short sleeve in red/black stripes. Based in Manila, in the Philippines, A BEAUTIFUL REFUGE is a social enterprise before it's a business. Run by my blogger buddy Hannah from Life + Style + Justice, each item produced by A Beautiful Refuge is screen printed by the women Hannah selected and trained in a studio she helped build, which is an extension of Safe Refuge, a resource centre for women and children in crisis based in the Philippines. If you follow them on Instagram your heart will be filled with hope. This is the real ethical deal and these tees are produced in a workshop full of love and laughter. The t-shirts and totes come from THE most eco-friendly t-shirt brand I know of, Earth Positive, who are exemplary in their demonstration of the highest possible environmental, social and ethical standards from cradle to cradle. Their t-shirts are made from 100% monsoon rain-fed Organic cotton (GOTS certified / GMO-free) which is procured through low impact farming. Each t-shirt is ethically made through fair labour conditions (audited by Fair Wear Foundation) and they have 30 wind turbines powering their production, which has reduced their carbon footprint by 90% (earning them a Carbon Trust Certification). They have a ‘No Airfreight’ policy as well, using containerized ocean shipping instead, thus reducing their carbon footprint further. Like American Apparel but without all the sweatshops and sexual assault claims. HOORAY! It costs about the same amount of cash to get all your cosy comfies but they come from a company committed to sustainability with products made from sustainable fabrics, dyed with non-toxic low impact/natural dyes and washed with their G2 Eco Wash which uses 60% less water. Their products are produced by factories which are certified under Fair Labour Association & Worldwide Responsible Accredited Production. I made a 'Beatnik Bardot' tee using their shirts and eco inks which is on sale for £15 on my site HERE. GREEN T-SHIRT COMPANY a German company based in Berlin. Their lime-tree logo represents the cycle of nature along with the natural symbiosis of the environment. They have eco-fair transactions which allows you to select the non-profit which will receive a small portion of the price of the product you purchase. They use products from Earth Positive Apparel (the greenest shirts I know of), Salvage (made from 100% recycled materials), Stanley Stella (made from organic cotton and Tencel). Made in Australia from responsibly sourced Organic cotton which is grown on Aussie dryland (non-irrigated farms). Their tees are dyed using sustainable and colour fast Oeko-Tex 100 certified eco dyes and knitted into single jersey fabric in Melbourne. 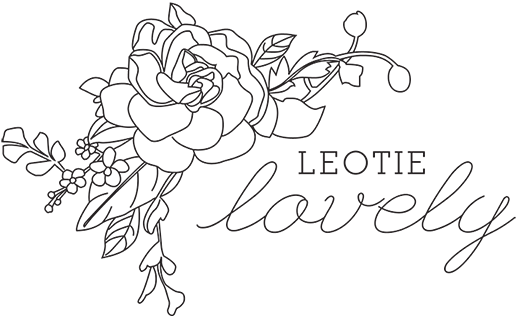 Their entire collection is dreamy and made from badass eco fabrics. They incorporate green solutions in everything they do: they recycle, use clean energy, have eco-friendly packaging, energy-efficient fixtures and appliances, recycled hangers, eco-friendly tote bags, unbleached/chlorine-free paper products, organic and sustainable kitchen products, 75% recycled paper content, FSC certified paper, soy-based inks, recycled/sustainable office supplies, non-toxic janitorial products…just to name a few. Then they make their clothing in their own LA factory to ensure sustainability and ethics are upheld. All their staff are offered fair wages, health insurance, ping pong tables and basketball hoops. 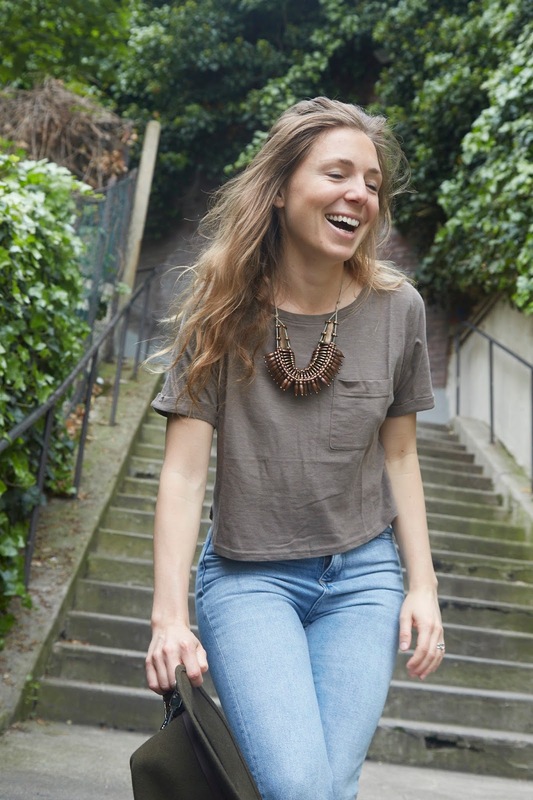 One of my newest and most loved editions to my T-shirt drawer is this hand illustrated t-shirt by Soumati offers soft organic cotton t-shirts for both women and men which are ethically and ecologically made, offering a personal and stylish way to dress yourself sustainably. Thanks for sharing such beautiful pics with us.Lovely collection of summer fashion trend.